I’ve been on the hunt for soup recipes and have pinned them quite a bit. It’s September and no matter what the temps are outside, this means I’m in the mood for soup. From homemade tomato and chicken tortilla soup to loaded baked potato and taco soup, here’s a list of soup recipes to warm your soul and make your house smell amazing. 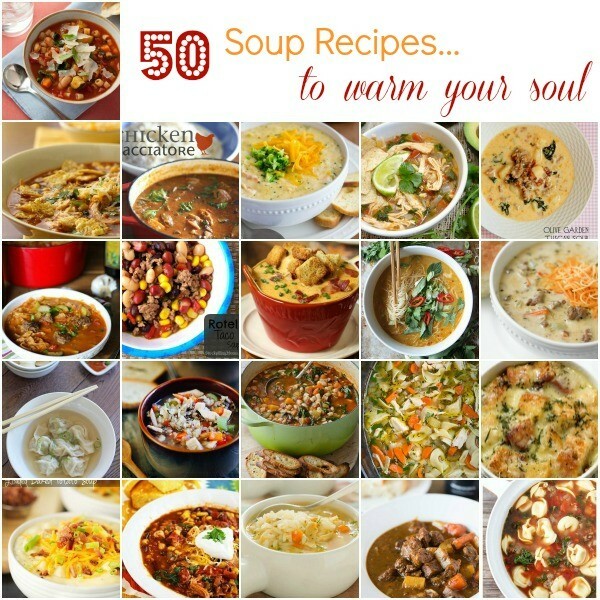 I hope you enjoyed this list of 50 soup recipes and found one or ten to make your family very happy this fall and winter.